Rachel Berman wants everything to be perfect. An overprotective single mother of two, she is acutely aware of the statistical dangers lurking around every corner—which makes her snap decision to aid a stranded motorist wholly uncharacteristic. Len Bean is stuck on the shoulder with Olivia, his relentlessly curious, learning disabled ten-year-old daughter. To the chagrin of Rachel's children, who are about to be linked to the most-mocked girl in school, Rachel and Len begin dating. And when Len receives terrible news, little Olivia needs a hero more than ever. But the world refuses to be predictable. 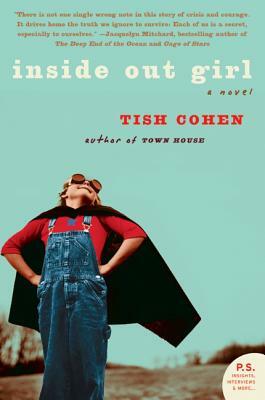 When personal crisis profoundly alters Rachel's relationship with a wild, very special little girl, this perfectionist mother finds herself drawn into a mystery from her past and toward a new appreciation for her own children's imperfect lives.